$16k Price Reduction! See extensive upgrades & features list. Embrace graceful living in this immaculate one story WaterSound Origins home located on a desirable large lot just one block from the pool, events lawn, gym and more. Join and enjoy the Watersound Beach Club, just a short drive away. This beautiful 4 bedroom 4 bath home exemplifies stunning attention to detail from the multitude of upgrades to the luxury finishes. 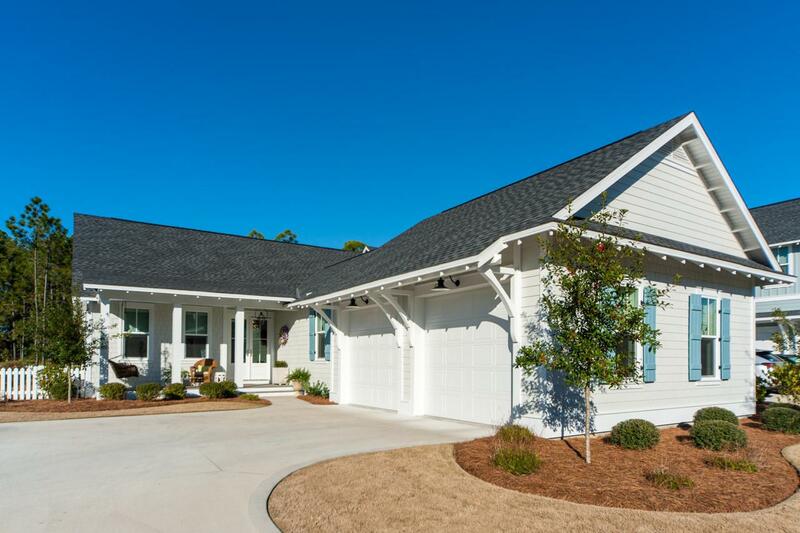 The open floor plan boasts updated 10' plank hardwood floors (with 30 yr warranty), custom solar blinds and a soothing color palette throughout the home. The gourmet chef's kitchen is an interactive place of beauty for the most discriminating resident chef and for family and friends to gather. 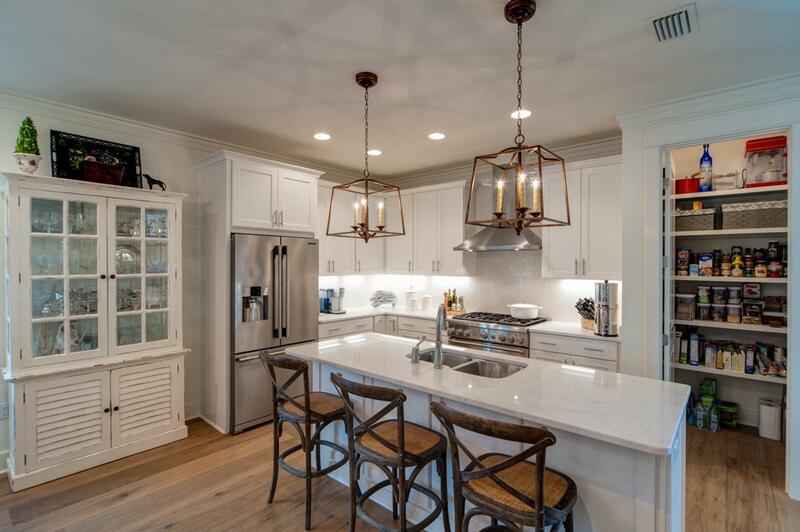 It features Carrera marble countertops, top of the line Thermadorappliances, large chef's pantry and kitchen island with breakfast There is even a wine or coffee niche with built in wine fridgeCarrera marble, wine rack and lighted shelving. The kitchen gracefully marries the dining and living rooms for easy entertaining. Work from home in your office with Quartz counters and media center. The spacious master bedroom and bathroom are bright and airy and features double vanities, separate shower and large walk-in closet with custom lights and shelves. There are three guest bedrooms each with its own en suite bathroom. 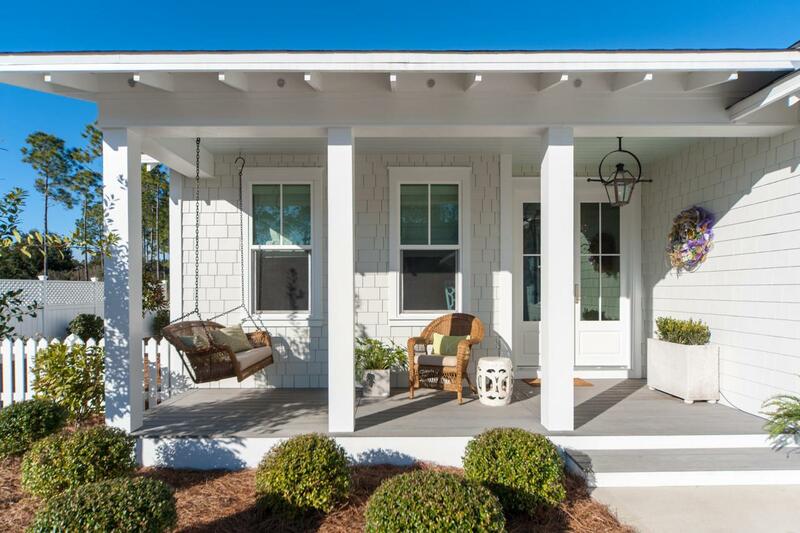 The indoor spaces flow effortlessly and are expanded onto the expansive screened porch and front porch. The spacious screened porch is complete with a TV and plenty of room for dining and entertaining. The large aesthetically pleasing fenced yard is filled with many fruit bearing plants including an orange tree, lemon tree and blueberry bushes. This almost quarter acre premium lot has plenty of room for kids to play and has room for a pool. 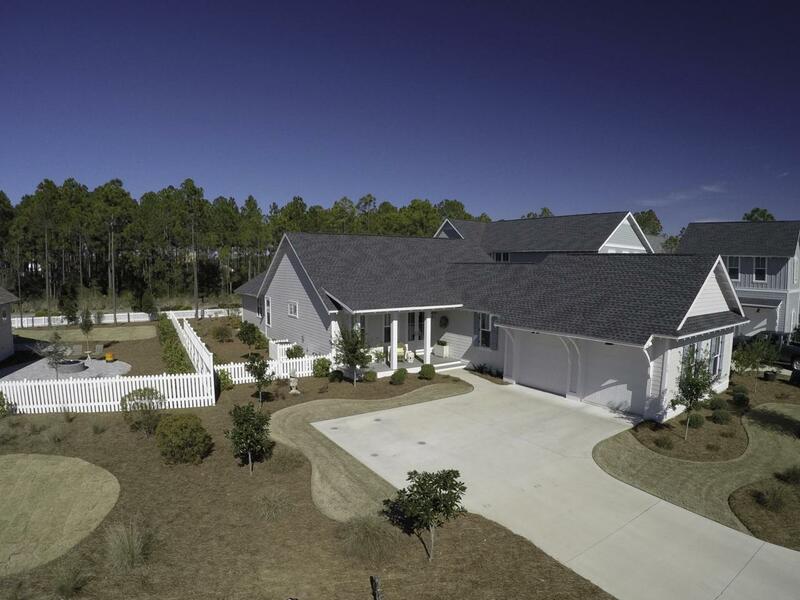 WaterSound Origins is a St. Joe property giving you amenities galore. Just down the street at the Village Commons, you will find a resort-style pool, The Origins Golf Club, nature trails, caf, children's play area, and fitness center. You are also given access to kayaks and a floating dock on Lake Powell, a rare coastal dune lake. WaterSound Origins offers a sense of community with various activities for every age and lifestyle to name a few there are gatherings to play cards, bunco, cocktail hours, Southern Living Dinners, monthly homeowners dinner, and there is plenty of space for children to play including the soccer field and ideal places for dog walking. A new healthcare facility at WaterSound Origins will begin construction soon. We invite you to discover this quality built home by Huff Homes. Full Upgrades & Features List Available.